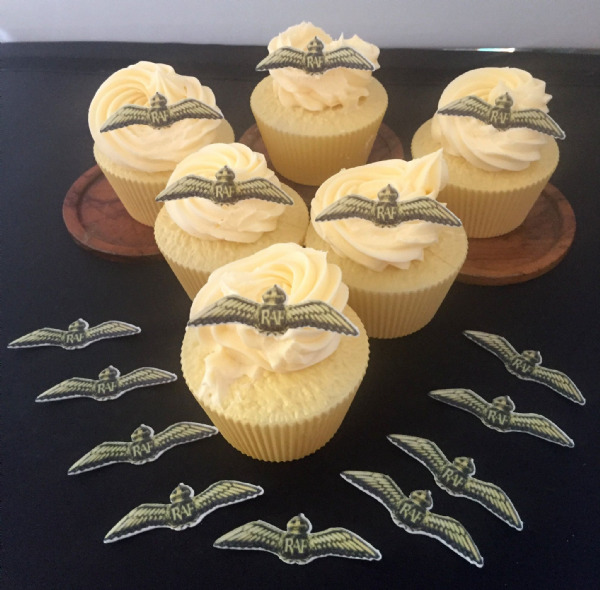 The classic RAF Wings as a cake topper. They Look fabulous on top of a cupcake and the large one in icing which measures 7.5" in width really makes a statement on top of a larger cake. They look fabulous when combined with any other of our RAF badges!